Ivanna Baranova is a Slavic-Latina writer and photographer based in Brooklyn. Who are you and what’s your zodiac sign? hi everyone! my name is ivanna baranova. i’m a slavic-latina writer and photographer based in brooklyn. my mother is a guatemalan immigrant. my father is from a family of slovak refugees. his parents were poets, too, and though i never met them, i imagine we know each other through writing and dreams. 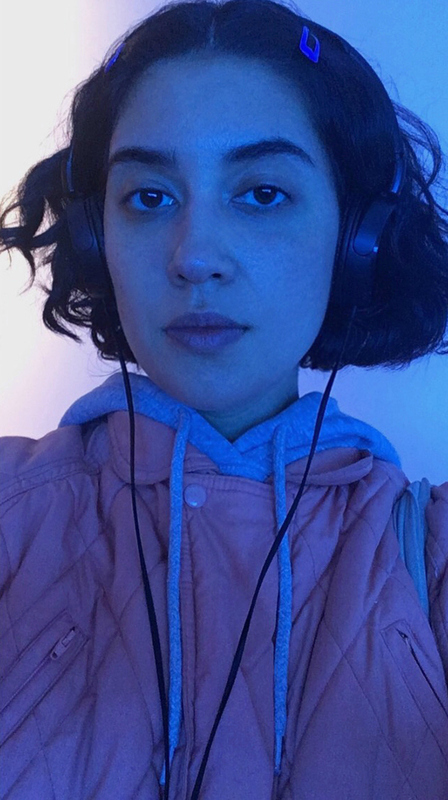 my work has appeared for ÄLPHÄ, glitterMOB, Hobart, Montreal Review of Books, NTS Radio, Pacific Dissent, Peach Mag, Poetry Is Dead, Prism International, Sub Pop Records, VICE, and elsewhere. confirmation bias is my first book. i was born and raised in the pacific northwest―seattle, washington and vancouver, canada. here now in new york, i miss the west coast’s water most―wet, emerald forests, endless rainfall, lake washington, the pacific ocean, and an infinite charge of tiny, negative ions floating abundantly through the air! i carry those geographies daily through my relationships, movement, and art. What is confirmation bias about? confirmation bias is a book of poetry that observes recurrent themes of my lived experience―femme conditioning, queer and racialized sociocultural identities, slavic and latinx diaspora, nausea under capitalist hegemony, experimental therapy, and substance use, to name a few. - how can we transcend the beliefs and behaviors that demand our psychic reproduction? - how do we nurture new relational patterns to evolve higher authenticities, compassion, and intra/interpersonal accountability? Could you tell us a bit about the process of writing confirmation bias? i wrote these poems while living in vancouver, seattle, bellingham, montreal, santiago, and new york, contending with a series of difficult emotional and metaphysical encounters. confirmation bias evolved through sporadic written documentation and audio dictation―but really, the process began well before any of this work existed, when i urgently left the east coast in 2011 after surviving a fucked up assault and resultant spiritual breakdown. the book manifested through fighting for healing and the kinds of love i learned―from others and in myself. in summer 2018, the manuscript came into full form while i was simultaneously working through a writing residency in banff and participating in an mdma-assisted psychotherapy trial for ptsd in vancouver. the magic i encountered through those events and because of those memories is still being expressed heavily through me. i can hardly believe confirmation bias is real and feel such dizzying gratitude to share it with you all. i hope reading this book helps open space for what you need. What are some books you’ve read and enjoyed lately?